What do people in other countries think of Brexit? If you're living in Britain, the issue might weigh heavy on your mind, but do people in the rest of the world care about Brexit? Euronews journalists from the Brussels bureau explained popular opinion among politicians and citizens in their countries. Despite having the oldest diplomatic alliance still in force in the world (the Windsor treaty, signed in the XIV century), Portugal and the Portuguese are backing the European Union on Brexit. In general, the Portuguese people regret Britain's decision to leave the EU. Politicians have made an effort to reassure Portuguese immigrants in the UK that they have nothing to worry about after Brexit, that their rights and social benefits will be protected, but they are still worried. On the other hand, the Government launched the project "Portugal In" last year to attract companies that are based in the UK and want to stay in the EU to move their headquarters' to Portugal. 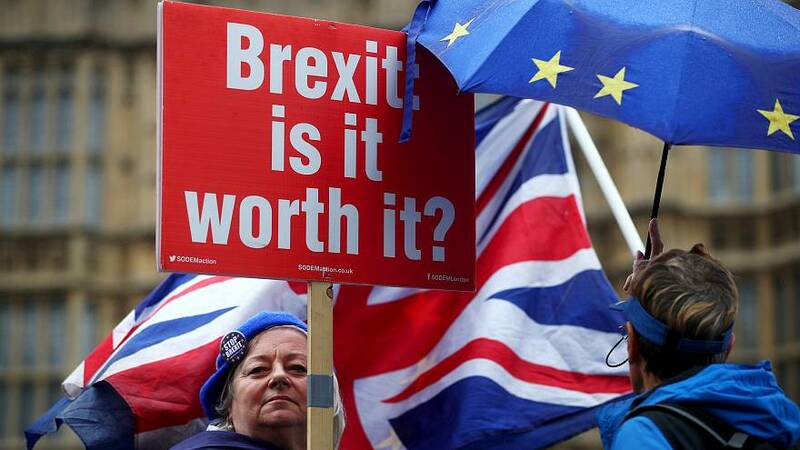 Britain's withdrawal from the European Union will put a particular strain on the German economy, according to a study by the European Committee of the Regions. Of 50 European regions that will hardest hit by the consequences of the Brexit disaster, 41 are located in Germany, with Hamburg, Berlin, Düsseldorf, the Western Ruhr area, Cologne and Darmstadt among the worst affected. Those most aware of these statistics are German citizens with business ties to the UK. Hungarians are not really concerned about Brexit, as people are mostly focussed on the debate between their own country and the EU instead. For now, it looks like the issue of what might happen to some 300,000 Hungarians living in the UK is solved and they can stay. PM Orban recently spoke about an upcoming economic crisis, but he alleged this is more related to the US-EU trade war than Brexit. For the time being, France's priority is to reach an agreement on Brexit and maintain the unity of the 27 Member States. Paris held a firm position in these negotiations. The French government was able to count on a strong personality during these discussions in the form of Frenchman (and former European Commissioner) Michel Barnier, who is leading the negotiation on behalf of the European Union. From a finance perspective, France can be pleased about one thing: The European Banking Authority will be transferred from London to Paris because of Brexit. Brexit will have a negative impact on Greek exports and certain industries (like food and medicines) but will have less impact on tourism revenue and British investments in the country. Turkey is following the Brexit process closely, especially concerning questions of the EU budget. Brexit will cause the loss of several billions of euros from the European Union budget and as a candidate country, Turkey is receiving funds from EU. The bloc will have to reconsider the budget in light of Brexit and due to human rights violations and a deadlock in EU-Turkey negotiations, which began in 2005, Turkey will inevitably be affected by this. Could a longer Brexit transition help UK and EU kiss and make up?